In Pakistan the backs of houses are usually where laundry is done. Guests would be invited into the front rooms, which are decorated and furnished to honour those visiting the family, while menial tasks such as cooking and washing are done at the back. The rear of our house backs onto the rear of the houses on the street above ours, and so it is that when I go out to put in laundry or check to see if the hot-water boiler is still functioning I inevitably encounter our neighbours. Their balcony is where they, too, do their laundry, hang their clothes, or come out to lie on a charpai (traditional bed) to warm themselves in the sun. I try not to linger; the rear of the house is normally the place where women come to relax, and I don’t want to make them feel uncomfortable by intruding on their private space. Our bedroom is also at the back of our house, meaning that our bedroom windows looks out over their balcony as well. Every morning and evening while tackling the stream of emails that ping into my inbox I look out to the our neighbours come out to pray. 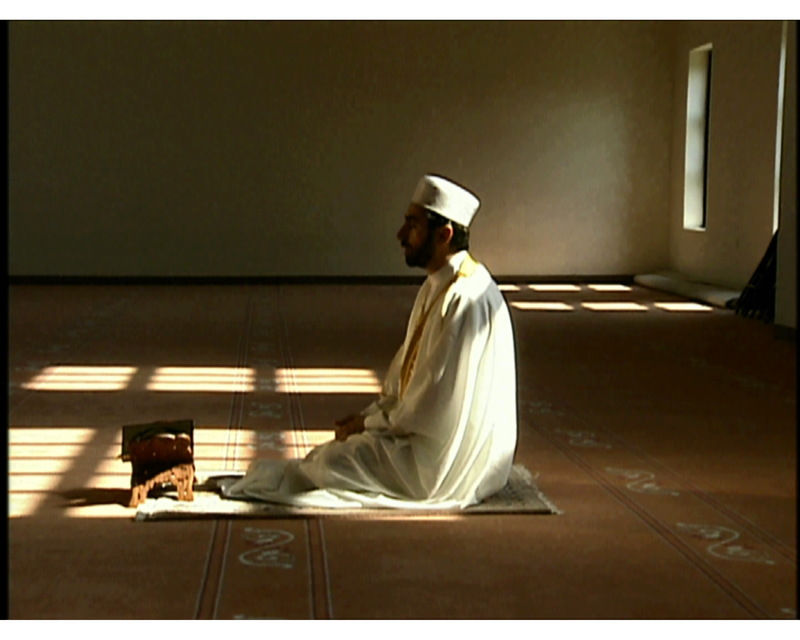 They take down their prayer mat, orient it towards Mecca, and kneel down to go about their prayers. They close their eyes, their lips moving in silent piety, they bow down, they look left and right, and they go through the simple routine just as millions of Muslims do several times a day, in Pakistan and around the Muslim world. Their prayer routine is simple, undemonstrative, calm, elegant, and peaceful. Islam has come under intense scrutiny in recent years. The actions carried out by a tiny minority of Muslims have resulted in every single Muslim in the world being viewed with suspicion, as if 1.2 billion Muslims are somehow responsible for the violent fanaticism of a few thousand. No matter that this is blatantly illogical and deeply unfair; no matter that this is akin to considering all Indians culpable for the actions of a handful of rapists or blaming every single Chinese person for the corruption of a few Party officials – this is how the world seems when you absorb the crass and foolish generalisations of the media. Islam, it seems, stands accused of having a problem. Except for the overwhelming majority of Muslim people, that is. After living in Pakistan for four years normal Islam seems, to me, pretty normal. Quiet, pious, polite, undemonstrative, peaceful. Confident, yet humble. These are the characteristics of Muslim people as I have come to know them after living amongst them for four years. It is a long, long way from the violence and intolerance flaunted around the tabloids of the Western world. I go out to get the laundry out of the washing machine and my neighbour looks up from his chair where he is sitting to read the newspaper. “Salaam aleikum!” he calls cheerfully. “Peace be upon you!”. And upon you too, friend. When we came back to Pakistan we started clearing some old stuff out of our house. We’re hoping to move soon so it’s a good opportunity to get rid of the clutter which, despite our best efforts, always seems to find a way into our store cupboards. It’s almost a law of physics: just as things fall to earth when you drop them, just as paper burns when you set a match to it, it is similarly inevitable that clutter will find its way into a house: rickety old tables, bags of broken toys, a sack of Urdu teaching material that I won’t be using again. 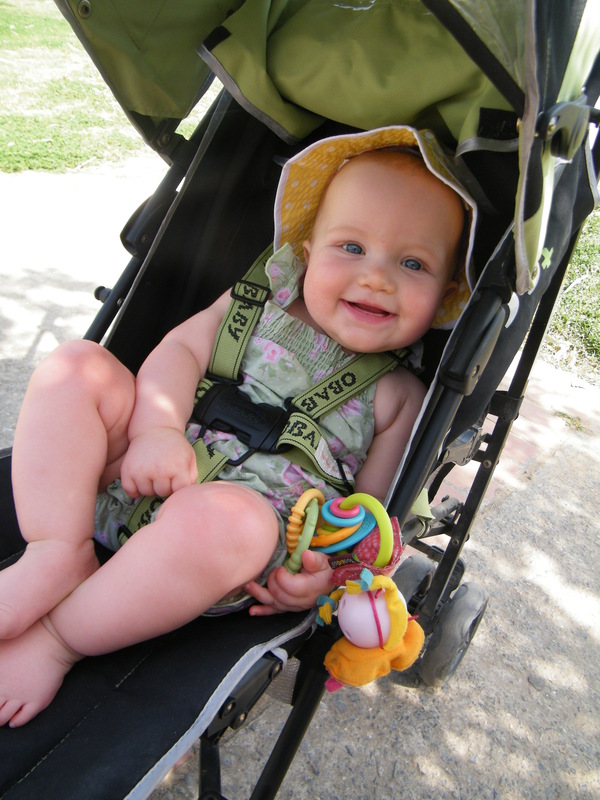 And our old pushchair. Bought from Tesco in a sale, it’s served us well. It’s travelled to several countries, has been stuffed into cars and thrown on the top of jeeps, and, as you can see above, has accommodated each of our three children at different stages. It’s also broken. We bought a replacement off eBay while we were in the UK, rendering our faithful servant null and void. I tried to throw it out. I took it downstairs, folded it up, and placed it tenderly in the rubbish bin, before saying a few gentle words of remembrance. The rubbish collector, a friendly Christian man called Zafar, comes by each morning to take away our rubbish, sorting through it to remove anything of value and disposing of the rest. I left it there and thought no more of it. Until the next morning, that is, when I found the pushchair neatly folded and placed on our doorstep. Zafar simply couldn’t believe that we would want to throw such a valuable thing away. It might be worth a couple of hundred rupees to the scrap metal dealer, and for a guy living on the poverty line, the thought of simply throwing that kind of money away is illogical. No matter that we are doing it to help him, knowing that he will sell it for himself and use the money to feed his family. He’s so scrupulously honest that he keeps returning it, folded and cleaned, to our doorstep, like some kind of sacrificial offering to the wealthy Westerners who are blessed with such unthinkable wealth.